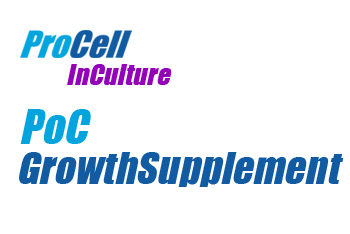 Is a media additive that greatly improves cell growth and morphology in primary cells found in post-mortem foetuses and products of conception (POC) in culture by exposing these cells to growth factors and cofactors that are known growth promoters. And it has a marked stimulatory effect on post-mortem foetuses and products of conception (POC) cells in culture. It is a complex mixture containing growth factors and cofactors dissolved in a buffered DMEM medium.